Because our future is about so much more than cars. Tesla’s name has been tied to electric vehicles (EVs) ever since the company unveiled it’s pioneer product, the Tesla Roadster. But even with the title “Tesla Motors Inc.,” the company has never been shy about their ambitious plans to reach far beyond electric cars. Since it was founded in 2003, Tesla has become so much more. Therefore, it’s fitting that the company moved to officially change their name to Tesla Inc.
Ostensibly, all the company really did was drop a single word from their original name. However, it’s a move that signifies how a brand can stay true to its heritage, and continue to forge a new path towards what Elon Musk called the “solar electric economy” of the future, which he mentioned in the first half of his Master Plan back in 2006. When Musk was placed at the helm of the company, Tesla was already reeling from the effects of the financial crisis. But amid cutbacks, layoffs, and missed launch dates, the company was able to secure $40 million that helped Tesla avoid bankruptcy. By 2009, Tesla introduced the Model S, their first electric sedan. By mid 2010, Tesla went public for $17 per share. Towards the end of 2011, Tesla unveiled the Model X prototype, simultaneous with deliveries of the Model S, which finally made it to the market. In 2014, Tesla open-sourced its patents for EVs. Beyond being an unprecedented move from a private, for-profit company, this demonstrated the company’s commitment to their master plan – to make sustainable transport accessible to all. The construction of Tesla’s Gigafactory in 2014 marked Tesla’s steady path toward realizing its ultimate vision. Once the factory becomes fully operational (hopefully by 2020), this will allow the company to bring down the cost of their batteries by 30 percent, thus lowering the price of the Model 3. 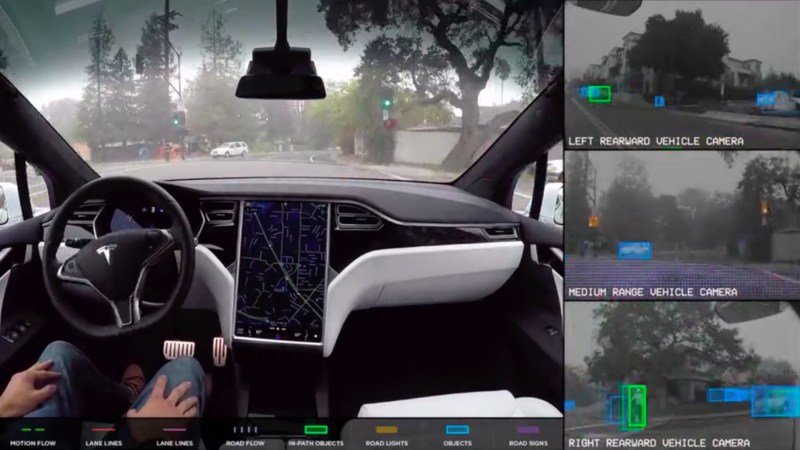 That same year, Tesla announced their semi-autonomous driving system, Autopilot. 2015 saw the arrival of the Model X and Autopilot in the market, but more notably, it was a milestone for the company’s foray outside of car manufacturing. The introduction of the Powerwall and the Powerpack marked Tesla’s first big push into energy. The following year, Tesla’s acquisition of SolarCity reignited talk of where exactly Tesla was headed – but it wasn’t long after that Musk revealed the second half of his masterplan, where he confirmed Tesla’s new objectives. Not only was Tesla set to introduce more affordable EVs, and make self-driving technology a reality, but the company was also going to start building solar roofs to seamlessly integrate with Tesla’s battery storage. The point of all this was, and remains, accelerating the advent of sustainable energy, so that we can imagine far into the future and life is still good. That’s what ‘sustainable’ means. It’s not some silly, hippy thing – it matters for everyone. Quite simply, Tesla Motors Inc., was a means to an end—a way to prompt an entire industry of gas-guzzling, carbon-emitting car manufacturers to recognize the need to follow the company’s sustainable transportation model. And now, with Tesla, Inc., we can look forward to a truly sustainable future defined by Tesla’s core vision.